ARTstor recently made a change in regards to downloading individual images. It used to be possible to download these without having an ARTstor account. That is no longer true. You must now have an account to download any images (individually or in groups to PowerPoint). Creating an account is easy; see these instructions on ARTstor’s help site. I recommend using the short form of your UW email address to create the account (e.g., jcmills@uw.edu versus jcmills@u.washington.edu). When downloading individual images, you may see an applet window pop up. You must answer “Allow” to this in order to continue the download process. In order to not have to do it again during your current browser session, click the checkbox next to “Allow all applets…” If you accidentally click on the “Deny” button, you will have to completely close your browser and start over again. 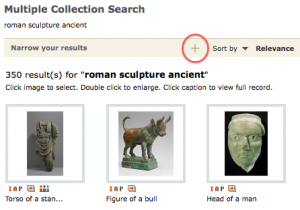 Last week ARTstor added a filter feature for keyword searches (it does not work with advanced searches). After searching, you will see a bar that says “Narrow your results” with a plus sign (see orange circle in first image). Click the plus sign. You will then see a left sidebar that provides options for narrowing your search. Also, if the date range of your results is less than 10,000 years, you will see a timeline at the top. If you want to make the left sidebar disappear, click the minus sign in the bar that says “Hide filter panel” (see orange circle in second image). If you had a timeline, the timeline will remain at the top of the screen. You can remove the timeline by clicking the small box at the upper left of the timeline. You can also bring back the left sidebar by clicking the plus sign again (see orange circles in third image). ARTstor does not yet have tutorial information about this on their help blog. When they add it, I will add a link. ARTstor is a collection of image collections, and one of the outstanding collections within ARTstor is the Erich Lessing Culture and Fine Arts Archive. Lessing’s 4×5″ and 8×10″ color transparencies are being scanned to create this collection. These transparencies provide large digital files with a density of information that far surpasses what can be found in 35mm slides, which means that you can create incredible details for teaching (the image in this post is a small detail from one of his photographs). 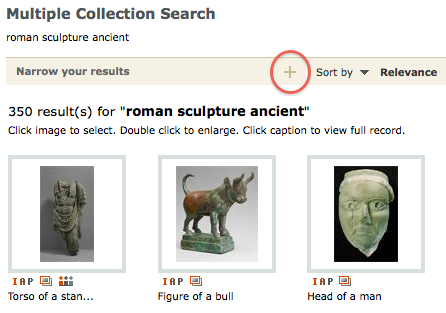 Add his name as a keyword when searching in ARTstor to see if any of his images may cover your topic of interest. So far, 81% of 13,000 images have been added to ARTstor, so more will be coming. A new workflow feature in OS 10.6 (Snow Leopard) is the ability to combine PowerPoint slideshows. This should be very helpful for people who want to combine slideshows created from soaMDID images or personal images with slideshows generated from ARTstor. I have created an app saved from a workflow; the link is below. As I said in my previous post, once the zipped file is downloaded, double-click to un-zip the app and save it to your desktop or elsewhere for future use. Once you start the app, use the command key and mouse clicks to select more than one slideshow then click on the choose button. Be patient as it combines the slideshows. NOTE: This can be used to combine ppt OR pptx files, but it will crash if you try to combine ppt AND pptx files. NOTE: With the debut of a new UW Libraries website in September 2013, the “off-campus access” button is no longer needed. Simply navigate to a UW Libraries webpage with a link to ARTstor as described below. When you click on the ARTstor link, you will be prompted to login with your UW NetID. Then log into your ARTstor account if you want to be able to download images. ARTstor and many other UW Libraries resources are restricted to UW users only. This means that when you are off campus, you must log in to use these resources. For ARTstor, the best place to start when off campus is this UW Libraries webpage. In the upper right of this page, you will see an “off-campus access” button. Click this and log in with your UW NetID. You should be returned to the same webpage after logging in, and you’ll see that the color of the “off-campus access” button has changed from red to green. You can now click on the Art & Design link in the middle of the page and then on the ARTstor link (or a link for any of the other resources on this site) and start using it. You must have an ARTstor account in order to save groups of images. You should have pop up blocking turned off in your browser. You must have the most recent version of PowerPoint (with the .pptx file suffix) for it to work automatically. You are limited to downloading 1000 images in a 120 day period. To download to PowerPoint, open one of your saved groups in ARTstor. If you want, you can click and drag the images into a specific order before downloading. Click on the icon that looks like a projection screen partly pulled down; it’s in the beige bar above the thumbnails. A prompt window will open, which tells you how many images you are able to download in the current 120 day period. Click Yes to continue and then click Accept to accept the terms of agreement. A new window will pop up showing the progress of the download. When download and construction of the slideshow is complete, the window disappears. The slideshow will be wherever your computer saves downloaded internet files, which is usually in your Downloads folder. Open the file and save it to wherever you want it. Note that the PowerPoint slideshow will be titled the same as your ARTstor group. It will have one image per slide with a black background. Of special interest is that the metadata for each image is included in the notes section for that slide. Some minor image resizing may be needed on horizontals. 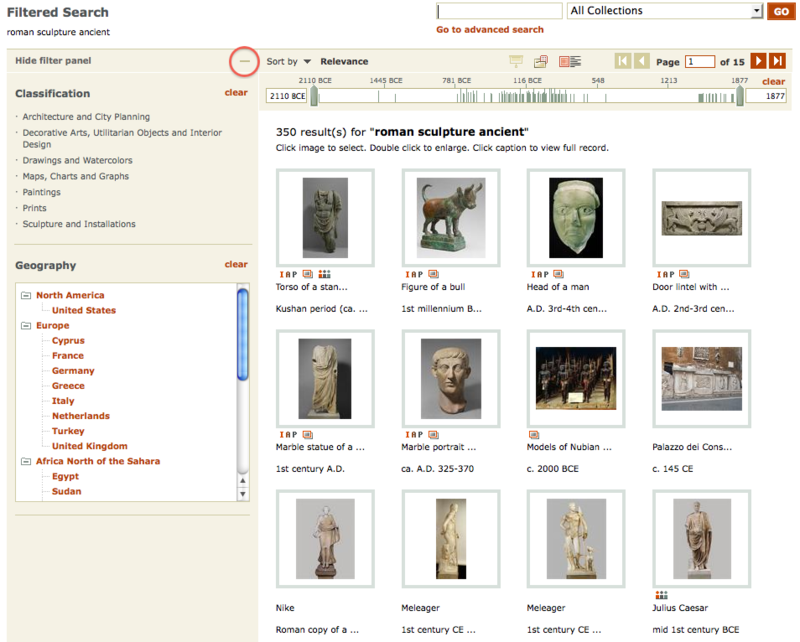 Individual downloading of images with an ARTstor account is also possible as described in a previous post. 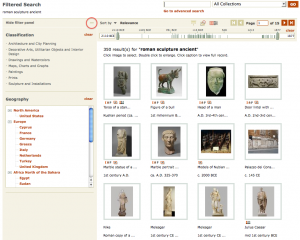 If you need a refresher on how to create an ARTstor group, follow this link. ARTstor has very recently added the capability to save an image detail to an already existing image group. Remember that you must have created an ARTstor account in order to create image groups. 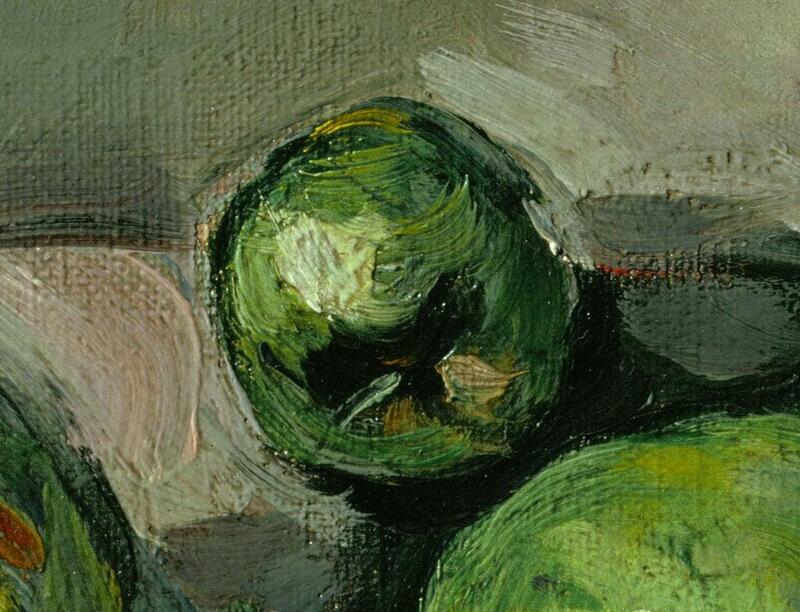 To create and save a detail, double-click on an image thumbnail. This brings up a window with the full image. Use the cursor to mark a box around the portion of the image you want as a detail. Once the detail has fully loaded, click the icon at the lower right of the window that looks like a box with dots in it (it’s adjacent to the thumbnail). You will then be prompted to choose an image group to which the detail will be saved. Click Save or Save & Open, and you have the detail saved in your group. View duplicates and details: clicking on this icon will bring up other views or details of the same work that can be found within ARTstor. This is also called the clustered image icon. You may also be interested in…: clicking on this icon will bring up other images that have been used in conjunction with the image you found in slideshows created by other ARTstor users at your institution. Images for Academic Publishing: images marked with this icon may be used at no cost for certain types of academic publishing. You must click on the icon and follow the instructions in order to get access to an image of publishable quality. View quick time movie: clicking on this icon will bring up a small window that contains a QuickTime movie that can be rotated and zoomed. Note that it is not possible to download these movies; they can only be viewed while connected to ARTstor.